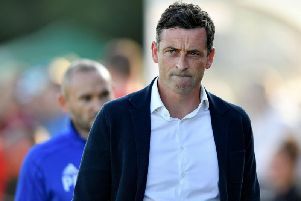 Sunderland duo Flanagan and Baldwin came under criticism after they shipped five goals to Coventry City on Saturday, the club's first defeat since December. Ross has room to change his defensive pairing with Glenn Loovens and Alim Ozturk both waiting in the wings. 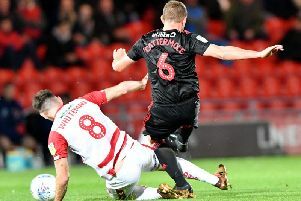 However, the former St Mirren boss has refused to state whether Friday's visit of Doncaster Rovers will see a change at the back. He said: "I don't think we need to make any knee-jerk decisions but we've always considered the previous game and the previous games to that to see if there's patterns emerging and things you think you can do better. "You can also judge players on what you see on a daily basis - this full week has been helpful in that regard. "Because we've had a full week's training, it allows us to see where players are at, mainly physical. "We'll decide what we think is the right team based on what we need to beat Doncaster and based on what we've seen this week as well."